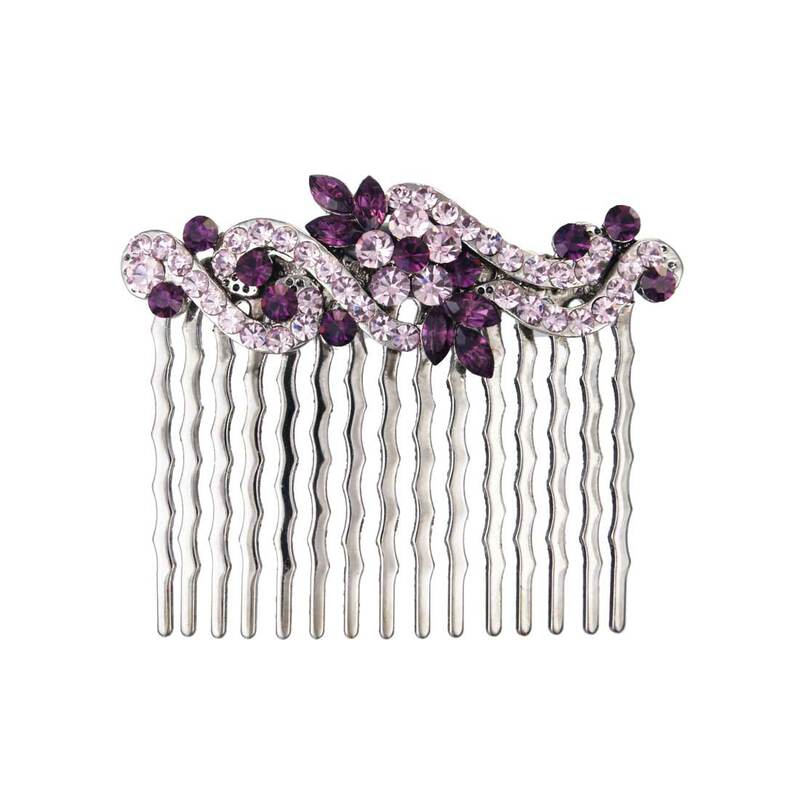 The essence of vintage style, striking purple and lilac crystals adorn this ornate scroll hair comb. Full of vintage charm, this antique silver tone hair comb features an antique inspired scroll design adorned with rich purple and lilac crystals. Opulent and decadent, this will add a touch of colour to locks with style. Perfect to adorn a chic up-do or pinned into loose tumbling locks, this is also a beautiful bridesmaids hair accessory to compliment purple or lilac tone dresses.